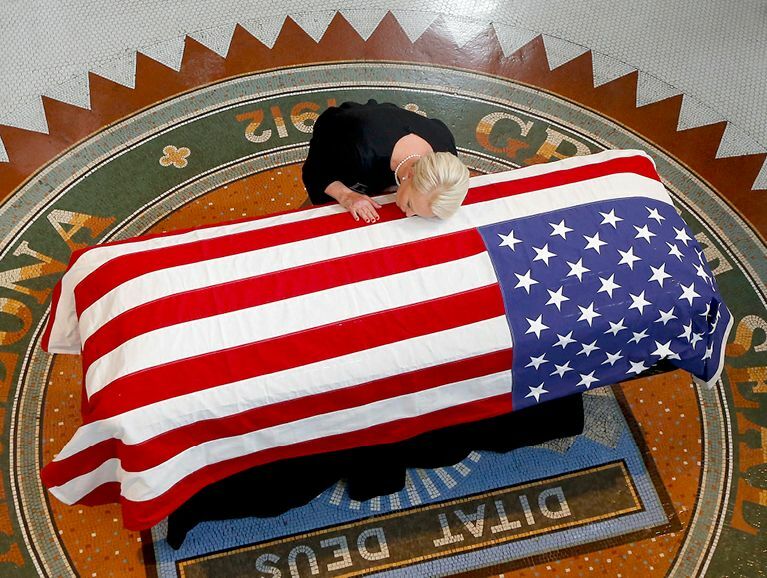 John McCain was “an embodiment of many of the ideals that make America great,” said USA Today. In Vietnam, he chose to face imprisonment and torture rather than use his privilege as an admiral’s son to be released before his fellow prisoners. In the Senate, he was a pragmatist who could “form alliances across party lines and forgive old enemies” to address difficult problems. “His death serves as an almost perfect metaphor for the death of the old Republican Party,” once led by principled statesmen such as Theodore Roosevelt, Dwight Eisenhower, and Ronald Reagan. I’ve always identified as a “John McCain Republican,” said Jennifer Rubin in The Washington Post. Sadly, that party is no more. The time-honored virtues that McCain embodied—courage, loyalty, patriotism, honor—have been replaced with featly to Trump and his xenophobic brand of American nationalism. Trump’s inability to honor McCain, a bona fide American war hero, only proves how far the party has fallen.